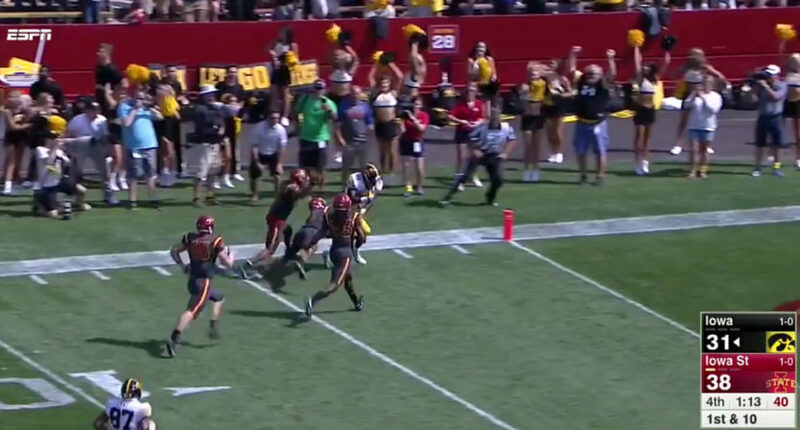 Wadley caught a pass near the line of scrimmage and took it all the way to the end zone. That’s a nice pass from Stanley, and a great catch from Ihmir Smith-Marsette. But it was Wadley’s amazing run that paved the way for this, and let Iowa retain the Cy-Hawk Trophy for the third consecutive year.